We are proud to assist home buyers, home sellers, and real estate professionals in their home inspection. Pillar To Post offers a high quality home inspection by Brian and Bill Sr. Eisenbraun. We guarantee a home inspection that is both thorough and comprehensive. Bill and Brian Eisenbraun are fully qualified and highly personable. 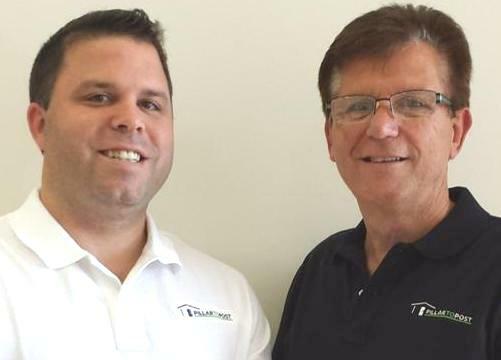 Over 5,000 home inspections have been completed by Bill and Brian (Combined). We offer flexible scheduling service. Every home inspection performed includes an unbiased and extremely detailed report which includes color photos. This report is printed on site before the inspector leaves – A unique service in the industry. We provide the best home inspection services possible in Monmouth County and the surrounding communities. Pillar To Post has conducted over 1 million home inspections across North America and has over 400 offices. Pillar To Post has gained recognition in the real estate industry nationwide. A thorough and complete home inspection will generally take from 1.5 hours to 4 hours to finish. Our clients are invited to walk with us during the home inspection and to ask any questions that they have at any time during the entire process. The inspector will locate and identify major components and systems in the home for the client, and go over the ideal maintenance and operation of each one. We are not alarmists, we simply educate our clients. Management experience – Bill operated a family owned rental company for 30 years. Extensive industry experience – Both Bill and Brian have been involved in many aspects of the construction and housing industry. Offering courses in Continuing Education. Our client satisfaction rate is very high, and we often receive comments and praise from clients who appreciated the services that we provided. These clients thank us for the thorough home inspection, the comprehensive report that includes pictures, and the professional and courteous attitude of the inspector. We explain the findings in detail to our clients, and help put the inspection findings in the right perspective so there is no undue alarm.